This is mine. 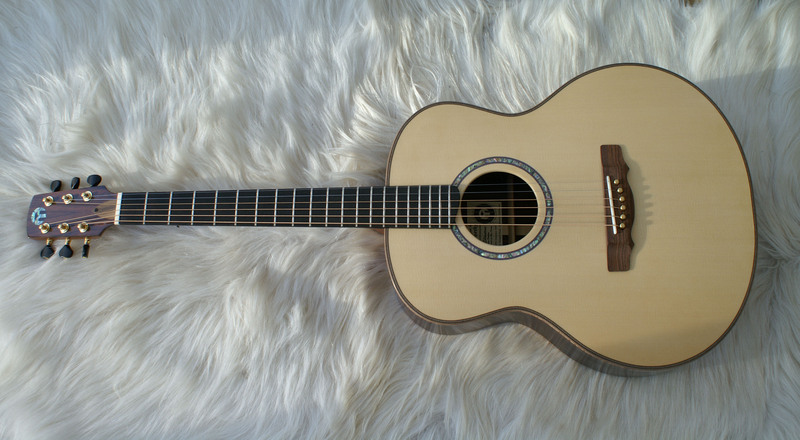 My beautiful Northworthy Ellastone Custom acoustic which I play, probably, every day. Made for me by my good friend and excellent luthier, Alan Marshall, here in the UK. The first thing I’d grab from a burning house. Glad you like it, Ré. I am lucky and I love playing it. The scale length is slightly shorter too so the difficult stretches are easier to reach. Joy.